Bari Restaurant, located in historic downtown Salem Oregon. 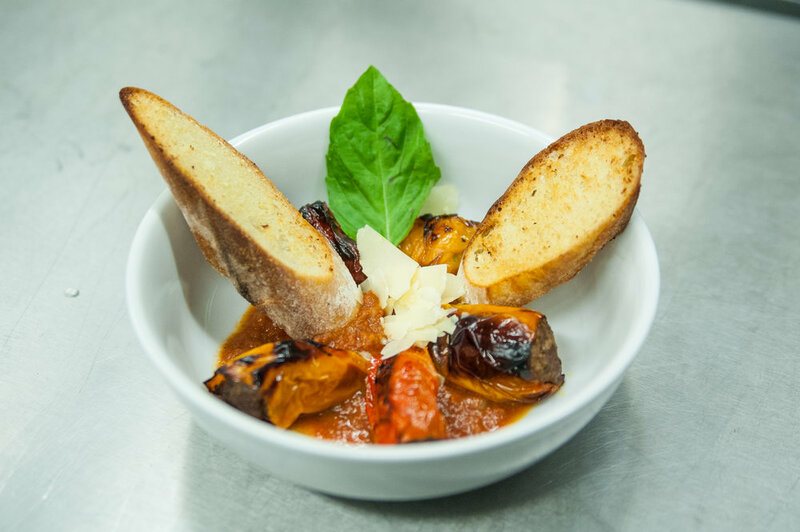 Specializing in global cuisine, made from scratch food, craft cocktails and an extensive wine list. 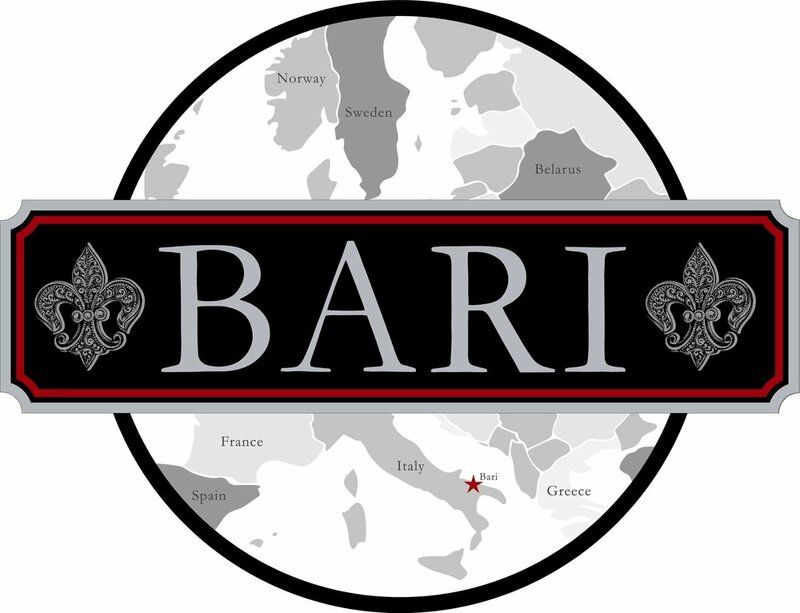 Bari Restaurant and Bar doesn't own a can opener their cuisine is made from scratch using the best Northwest ingredients. We feature an extensive Oregon and global wine list, and create classic cocktails using unique bitters, liqueurs, and spirits. Split Bone Marrow Served With Parsley Salad And Crustiness. Sliced Prosciutto, Speck, Coppa, Served With Duck Fat Mustard. Beef Tenderloin Bites, Served With Mushrooms And Smoked Gouda Demi Glaze Sauce. Variety Of Local And Artisan Cheeses, Served With Crostini And House Made Fig Chutney. Large Chicken Wings Tossed With Spanish Mojo Rojo Sauce. Calamari And Prawns Wrapped With Pancetta Served With A Creamy Lemon Sauce. Grilled Japanese Octopus Leg Served With Spicy Tomato Caper Sauce. Tenderized Beef Tenderloin Over Duck Fat Mustard With Capers, Parmesan And Arugula. Pork Wings Tossed With Berbere, Served With Spicy Honey Vinaigrette Sauce. House Made Sausage Stuffed In Sweet Peppers, Served Over Tuscan Sauce. Braised Beef Served Over Bruschettas With Chimichurri And Shaved Parmesan. Spinach Tossed In Lemon Vinaigrette Topped With Roasted Beets And Feta Cheese. Spring Greens And Pear With Candied Pecans Topped With Goat Cheese. Romaine Greens, Cucumber And Tomatoes Topped With Shaved Parmesan. Please Choose Between Creamy Horseradish Dressing Or Aged Balsamic Viniagrette. Roasted Tomato, Burrata Cheese, Basil And Balsamic Glaze. Baseball Cut Beef Top Sirloin, Served With Maitre d'Hotel Butter. Beef Tenderloin, Served with Chimichurri Demi Glace Sauce. Mary's Organic Chicken Breast, Served With Mushrooms And Creamy Marsala Sauce, Over Fresh Fettuccini Pasta. Braised Beef Cooked With Mushrooms And Truffle Oil, Served Over Pappardelle Pasta. Confit Duck Leg, Served With Quince Demi Glace Sauce. Wild Salmon Served With Creamy Lemon Dill Sauce. Hind Lamb Shank Served With Rosemary Sour Cherry Sauce. Prosciutto And Pancetta Served Over Fresh Bucatini Pasta, Topped With Fresh Duck Egg. Diver Scallops, Prawns, Cooked With Creamy Seafood Sauce And Fresh Fettuccini Pasta. House Smoked Salmon, Over Radiatore Pasta With Four Cheese Mornay Sauce. Tomato Based Saffron Stew, Served With Mussels, Prawns And Available Market Fresh Fish. Please fill out the following to make a reservation with Bari. We will contact you either by phone or email to confirm your reservation.